Bachelor of Medicine and Bachelor of Surgery (MBBS) Monash University 2012. Kalen received her Fellowship of the Royal Australian College of Practitioners in 2018. After receiving her medical degree Kalen worked at Monash Health rotating through different specialties including emergency medicine, paediatrics, general medicine and rehabilitation/aged care. 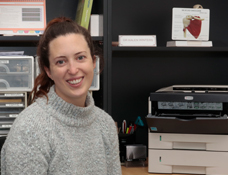 She has completed rotations in mental health with both Royal Melbourne Hospital and Eastern Health and Women's health training at Royal Women's Hospital. Kalen has a keen interest in preventative medicine, mental health and women's and children's health. Kalen commenced working at Belgrave Medical Clinic in August 2017. We are pleased to advise Kalen has chosen to stay on with our clinic into the future..